Join us this week as welcome singer songwriter, Rodney Thurman. 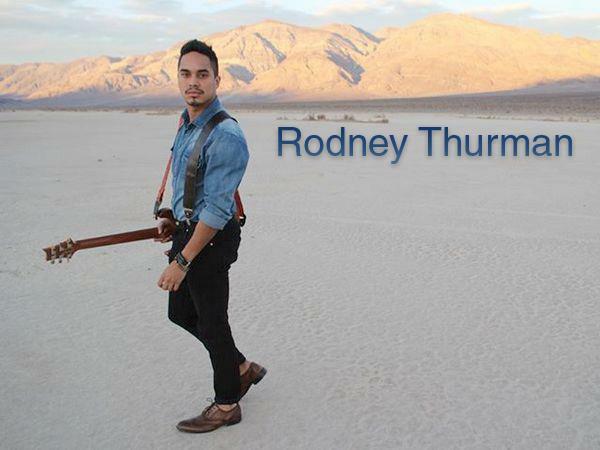 Hailing from Los Angeles, CA., Rodney Thurman is changing the image of pop country music. With his previous projects, "A Cause to Rise", and "West", Rodney mightily brought to light his talents of songwriting and musicianship for both fans and music professionals. Now, after self-producing his new energy-driven single "Gravity", Rodney sets his crosshairs straight towards pop country charts. Rodney adds, “For this new album, I’m taking it back to the beginning. Just me in a room with my instruments playing whatever my heart tells me. I wanted to focus on being the truest form of myself. I feel that energy is going to leap out of the speakers and its going to resonate." There is no doubt Rodney stands unique in country music. His differences push the envelope of what country is and can be. It's a strength that is sure to sway fans to country music that may not have given it a chance before. We will talk to Rodney about his upcoming schedule, get a behind the scenes look at his music, feature his latest music, and ask him to share his message for the troops. Please be sure to visit Rodney Thurman at https://www.facebook.com/rodneythurmanmusic and spread the word. Fans are welcome to call in and speak live with Rodney during the show (718) 766-4193. If you would like to participate in the live chat during the show, you must sign up on the show site first and then log in during the show. As always we will give shout outs to our deployed military listeners. Be sure to join us, 3/6/2016 at 4 PM EST! Our message to the troops: WE do what we do, because YOU do what you do.